Hi, friends I'm Gyan Ranjan. In this blog post, I will describe the 7 best ways to increase organic traffic and the SEO score of your website. Follow these simple and easy steps then look at how fast your website gains the organic traffic. This is the most important factor effects the traffic to the website. A well-optimized site gets more traffic than a less optimized one. So at first, you should optimize your website to make it SEO friendly. You can do it with the help of Google Insights or other optimization sites. Generally, you have to choose an SEO friendly theme for your website. Rearrange layout for looking your website beautiful, attracting and well optimized. Unicity of content with appropriate keywords is most necessary to gain high traffic. Your article should be interesting, attractive, unique, beneficial and informational but not less than 500 words. Optimize images within your content and use alt tag on every image. Give a meaningful description, choose the closest label to the content, edit permalink to introduce keyword and also edit custom robots tag by unchecking the default box. Publish your post after making it fully SEO friendly. Create accounts on Social Media sites such as on Facebook, Twitter, Google+, Linkedin. Improve your popularity on these Social Media sites. Share your posts with attractive quotes. You will get lots of traffic from these Social Media sites. Create a Facebook page related to your blog or website. Share your posts from facebook page to the related groups. 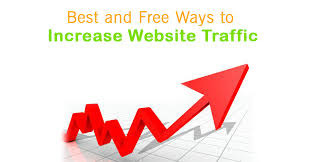 It will be helpful in increasing the traffic to your website. You can create accounts on Reddit, Mix, Adfty, APSense, Digg and so on to share your posts to increase organic traffic to your website or blog. To get high traffic to your website, you will have to submit your site to various search engines like Google, Yandex, Bing, Yahoo and so on. Sign Up for the webmaster tool of every search engine sites. Update your posts on these tools and follow the instructions given by these search engine sites. Try to remove all issues related to your website or blog. You can get traffic by submitting your site to the web directories. You can use the web submission button, present at the bottom of this blog to submit your posts to search engines and web directories. The high number of do follow backlinks from DA 30-100 sites to your website will be helpful to increase traffic, popularity, and DA(Domain Authority), of your website. You can get backlinks from web directories, Social Media sites such as from Facebook, Twitter, Google+, Linkedin, Mix, APSense, Adfty, Youtube, etc. Blog commenting is also a good source to get free do follow backlinks for your website. You can buy backlinks from other sources like Fiverr, but be careful because bad backlinks may decrease traffic and popularity of your website. You should use Adwords or G Ads to promote your website. In this way, your site will get as high traffic as much as you spend money. Promoting the site with Adwords also will be helpful to rank your site on Google. Sign Up for Adwords or G Ads, create your ads, choose your plan and run your ads on Google to get traffic, popularity, and ranking. Use the same process for Bing and another search engine. We are provide you VIP female call girls with very cheap rate in all over India. You can call me any time in day or night. I am available for you 24X7.pls click my web sites my friends.